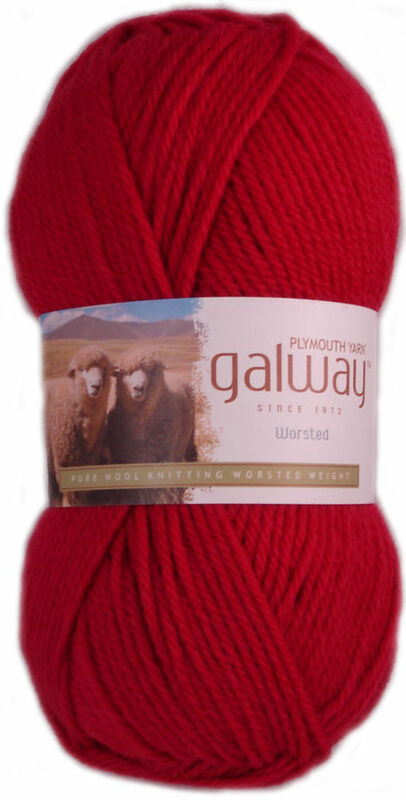 Confusion is a wildly interesting yarn introduced 2 years ago by The Plymouth Yarn Co. It is composed of up to 20 different novelty yarns- colorfully connected in a manner unseen until that day. 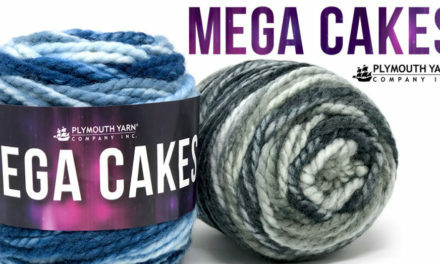 This yarn is much like some in the marketplace today that sell for more than twice the price. For this reason alone, it is worth checking out Confusion. Give your Spring wardrobe some pizzazz this year-with Confusion. 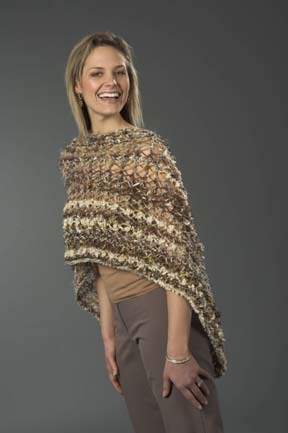 Visit our website’s pattern listings for several fun ways to use this yarn. Here is a very simple pattern for a versitile, fast, and fun wrap using 3 hanks of Confusion. A quick knit- it can be worn in many different ways. Finished Size: Approx 18” x 50”. Gauge: 8 sts = 4” on a US 13 needle over pattern st with Confusion. Needles: 24” US 13 (and size 15 for cast on and bind off), or size necessary to obtain given gauge, 3 large buttons from Dill Buttons. Pattern row: P1, *(yo, p2tog); repeat from * across row. Repeat row 1 for pattern. K1, *(yo, k2tog); repeat from * across row. Work in pattern st until almost out of yarn and total length is at least 18”. Change to larger needle and bind off loosely. Sew on 3 large buttons along one end. Wrap as desired, buttoning at any point, in any direction, as desired. Love this yarn!! It is one of the most interesting combination of yarn textures I’ve knit with. From a simple garter stitch scarf to the great sweater featured on the PYC website…it rocks! Just a suggestion….more colors please! Oh, if you think you might be confused about this yarn..rest assured “CONFUSION” will take away all your confusion.. Thanks for the free pattern, JoAnne. Great blog. I love having a few patterns and seeing what is going on with Plymouth. Great addition. 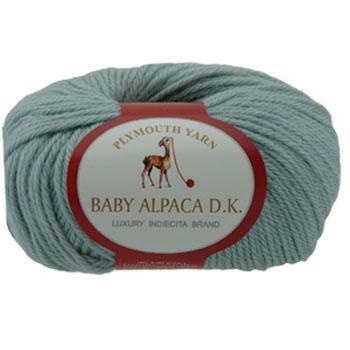 This is the coolest yarn – I love to knit with it! Thanks for the reminder – I am going back to my favorite yarn shop to get this color. Are you planning any more new colors and patterns? I would like to see home decor – I think it would look crazy and cool in an afghan and matching pillows. Very cool! Thanks for the free pattern Excellent.